Are your retail clients showing signs of financial distress? Recent figures show that nearly 23,000 retailers are feeling financial pressure after the first quarter of 2017. This is a 4% increase compared to the same time last year. One high profile example of this increased pressure is Jaeger, who recently went into administration. Rising wages, increased price competition and the fall of the pound post-Brexit are all thought to be major contributors to the rise of retail administrations. Reluctance to engage in normal review processes. Multiple late payments to suppliers or HMRC. Falling payroll costs due to cost saving ventures such as reduction in staff hours. Seeking advice about re-mortgaging to gain capital in an attempt to prop up the business. Request for help with cashflows and projections for bank facility purposes, which might be concealing an underlying adverse trend. For accountants and solicitors, it is vital to not only deal with the immediate requests for advice and dealing with compliance, but also to help clients see the bigger picture. This may include informing your client that the sector is coming under increased and sustained pressure resulting from new ways of trading. The biggest change in retail being the growth of ecommerce, which provides price benefits, as well as increased accessibility. Following this, it is important that your client considers their long term goals and objectives and whether leaving the business while there is value - or planning to leave following the next available break clause - are the best options available. We are currently working with proprietors of a business who – with the benefit of hindsight – can see that, in fighting to save their business over the past 3/5 years all they were actually doing was reducing the wealth that they had generated over the past 25-30 years whilst the business had traded successfully. To finance the business they borrowed large sums from the bank secured by personal guarantees and charges over their home and a further 5 years of trading resulted in ever larger redundancy pay-outs to their staff. They have also seen a further reduction in their own personal wealth due to reduced wages and not taking dividends. The proprietors now admit that the writing was on the wall, but they just refused to admit to themselves that their business of 30 years standing was in a sector that was in terminal decline. Had they got out 5 years earlier, they may not have had a lot of value but wouldn’t have gone on to be in the same position as they are today – no income for 5 years and huge addition personal debt. It is not easy to make such ‘calls’ but as professional advisers it is the role of accountants and solicitors to help clients see the bigger picture to consider opportunities and also to consider weaknesses and threats and help them draw conclusions, and develop and execute strategic plans. At Shaw Gibbs, our Insolvency & Corporate Recovery team can help with reviewing a business’ position and helping to create a strategic plan going forward. We have extensive experience in solvent liquidation (MVL), insolvent liquidation (CVL) as well as administration and can also work with our Corporate Finance team on business valuation and sales. Are your landlord clients at risk? Advisors should also be looking at their landlord clients, who may be at risk of financial distress. 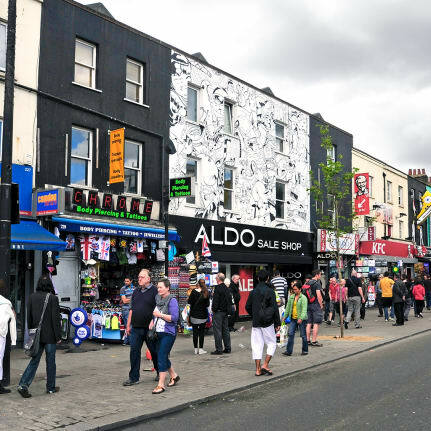 Many landlords will be exposed to lost rental income, with no new tenants willing to take on the premises in traditional high street locations. They will consequently need help in planning to cover that eventuality. In such situations, assets are often held in private pension plans, which adds complexity in dealing with trustees if significant changes to the strategy of how pension assets are invested are to be considered. If you have any clients who are likely to be affected by any of the issues raised above please do get in touch for an initial free consultation.